Hare Krishna. We wish you a joyous Janmashtami Festival. NOTE: Darshan will be until 1:00am. Radhanath’s Gifts has just unpacked a new range of Gopi Outfits and other stock. Note: there will be street closures. 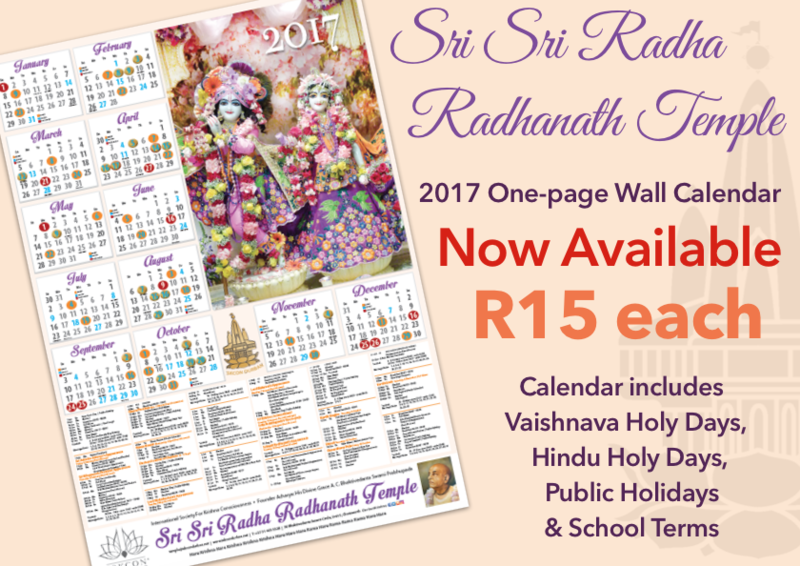 Parking will be available around the Temple vicinity and at the City Treasurer’s Office (opposite Chatsworth Centre). The Park & Ride Shuttle Service will be available from 7pm until 2am. There will be visible security and metro police patrol at all parking facilities. Take advantage of this facility if you have seniors or children. Then park and make use of the shuttle service. 1:30pm FeastNOTE: The festival will be broadcast live on MayapurTV on the Durban channel. 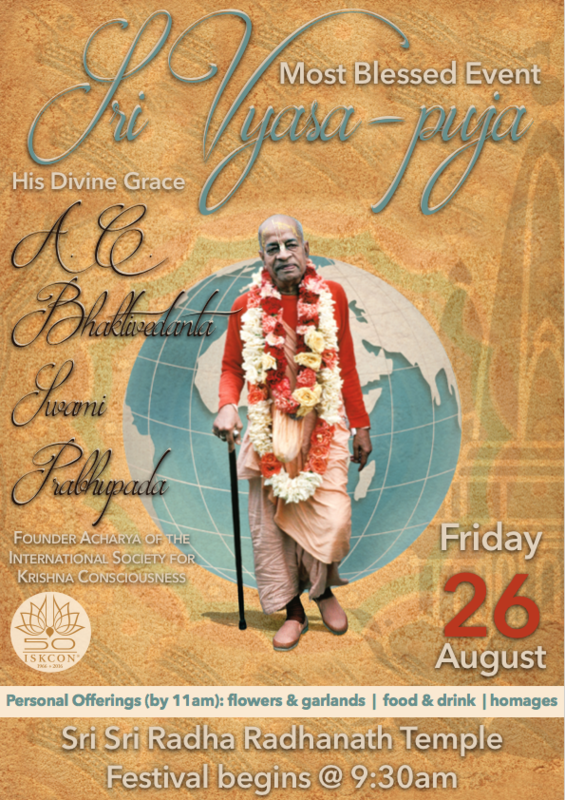 Get your copy of the POST today for your 12 page ISKCON50 sovernier supplement. Also see page 17 of the main body of the newspaper’s main Opinion Piece dedicated to Srila Prabhupada.